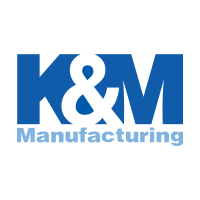 The KM D2-Series LED Diffusion Light fits big power in a small package. 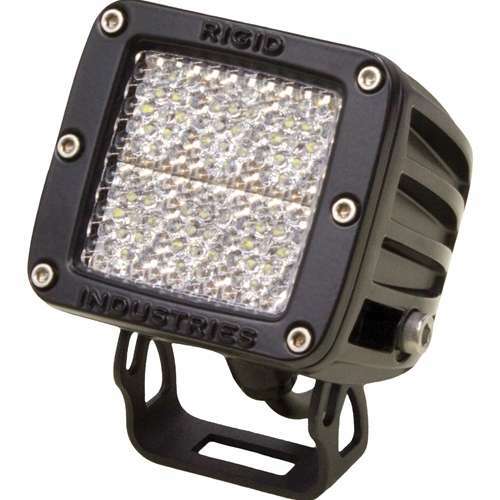 Rigid Industries' six LED surface mount light is a compact package that can be used for virtually any lighting application - from a reverse light on a truck to a handlebar light on a motorcycle to a flood light on a trailer. With a compact size and shape, this light will fit almost anywhere. The diffusion lens was specifically engineered to create the same 60° light spread going out to 115 meters (0.07 miles) - a combination of spot and flood beam patterns. This light is a great option for all types of area lighting where extreme distance is not needed. Rigid Industries' D2 LED light features the Hybrid Optic System. This unique system uses the latest in reflector and lens technology to provide over 93% efficiency. The super efficient LED driver circuitry allows 97% of the power directly to the LED's. It is housed in cast aluminum, extruded housing. The custom-designed, over-sized heat sink keeps the temperature down and allows the LED's to run cooler and brighter. Featuring a powder-coat finish, custom-molded rubber seal, and an unbreakable, scratch resistant lens, the Rigid's D2 LED Light is engineered to withstand whatever you throw at it. Please Note: The pair of lights share the wire harness with switch.